US President Donald Trump is in the habit of threatening and bullying countries which do not toe its line or do not heed its advises. The latest is its threatening the countries with funding cuts, if they vote in the UN against the US decision declaring Jerusalem as the capital of Israel and shifting its embassy to the city from Tel Aviv. Despite its threatening only 9 countries supported its stand in the UN. The huge majority supported the UN resolution against the US declaration and its deplorable stand on Jerusalem. In the security Council with 14 members, US was isolated earlier. US President Donald Trump has declared that he will not certify the Nuclear Deal with Iran, which was started during the president ship of Barak Obama. This will mean that the US is going to create fresh unrest in West Asia. It is very clear that Trump is taking a confrontational position with all whom he differs with. Already the relations with Cuba and N.Korea has worsened due to the arrogant attitude of Trump. He has withdrawn from UNESCO for the support given to Palestine by the world body. Is the cold war coming back? CPI(M) condemns US for threatening extermination of N.Korea. The Polit Bureau of the CPI(M) strongly condemns the US threat to exterminate Democratic People’s Republic of Korea (North Korea). President Donald Trump thundered, in his address to the UN General Assembly, that he would “totally destroy” North Korea. USA is the only country in the world that had used atomic weapons to destroy Hiroshima and Nagasaki. This designed destruction by the USA, killing and agonizing hundreds of thousands of people, was executed after Hitler’s fascist army surrendered ending World War II. USA embarked on this destruction not to end World Ward-II but to start the ‘Cold War’ to establish its global hegemony. Post World War–II the USA, militarily intervened in Korea under its Slogan of “global war against Communism”. During the Korean War, the USA bombed various North Korean cities causing deaths of tens of thousands of civilians. USA ensured the division of the Korean Peninsula. The USA, given its track record, has no right to issue such threats. This is an open threat to the sovereignty of independent countries. This cannot be accepted and must be rejected. The solution to the issues posed by North Korea should be resolved by the group of six comprising – USA, China, Russia, Japan, South Korea and North Korea by holding talks. Donald Trump after his election as the President of United States, is creating conflicts after conflicts which are danger to the peaceful relations between nations. The attack on Syria, the new immigration policy, withdrawal from the Paris Agreement on emission of greenhouse gases – the list is continuing. The latest is the cancellation of agreement with Cuba, which was signed during the period of President Barack Obama resulting in better relations between US and Cuba, ending the economic blockade of about 6 decades. As the most powerful country in the country, it is the responsibility of US and its President not to create hurdles in maintaining world peace. But what Trump is doing is on the contrary. The United Nations and the world opinion should put a stop to these acts of Trump, in the interest of world peace. 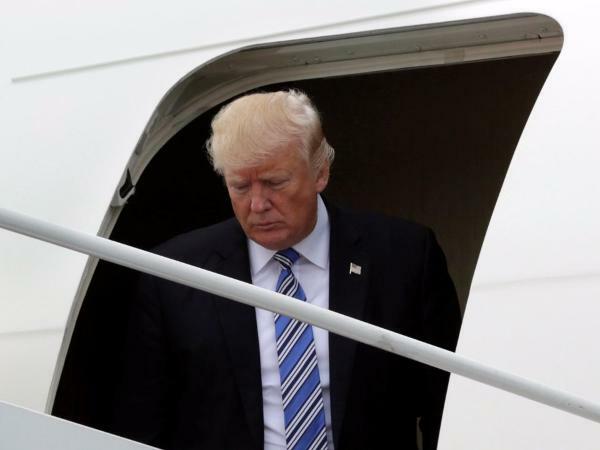 Many countries have condemned the statement of US President Donald Trump for exiting from the Paris Agreement on Climate Change signed by 195 countries in 2015. As one of the countries having maximum carbon dioxide emission, it is the duty of US to honour the commitment to reduce it. Criticising India or like countries with less emission is meaningless. The US withdrawal is strongly criticised by many important persons and organisations in the US itself. Is it that Donald Trump is a Messenger of Darkness, Despair and Destruction? Only time will tell. US leaves from Paris Climate Change Agreement. US President Donald Trump announced Thursday that he will pull the US out of the landmark Paris climate change agreement, following through with a key campaign promise. The above decision of President Donald Trump to pull out from the historic Paris Climate Change agreement is to be condemned by all the nations. It was after consultations continued for a long time that the agreement was signed to save the world and the people from the deadly effect of the change in climate due to industrialization, huge carbon remission etc. Withdrawing from the agreement, the US and its President Donald Trump is mocking the humanity. It is a ray of light that many politicians and statesmen in US itself is coming out against the decision of Trump. Palestine should be recognised as an independent nation – Arab Summit. Arab Summit Conference held at Amman has demanded that Palestine should be granted status as an independent nation and the proposal of the US President Donald Trump for a single nation for Israel-Palestine is not acceptable. Despite the full support of the United Nations and massive majority in it for grant of recognition to Palestine, US continues its support to Israel and against the interests of Palestine. US and Israel should accept the decision of UN and bring peace in the area instead of creating conflicts. India should continue its time tested stand in support of Palestine, instead of keeping silence on the issue. Committee to recommend ‘New Financial Year’. The Central Government has appointed a committee with Former CEA Shankaracharya as Chairman to look in to changing the financial year from April to March and submit recommendations. The financial year for countries are different, some starting with January, some April, Some July and some October. India follows the British system of starting from April and the US financial year starts from October. Is the proposal to change the financial year, a political one? Is it intended to change from April to October in order have more compatibility with US with whom India is strategically coming closer and closer? HAVANA, April 16 (Xinhua) — Cuban President Raul Castro on Saturday called for political and constitutional reforms to the island’s socialist system and warned of the U.S. “real intentions” in mending ties with the Caribbean nation. During a keynote address at the opening of the Seventh Congress of Cuba’s Communist Party (PCC), Castro said the Constitution should be amended to reflect “the new era” of modernization, and to set term limits on political leaders. “The next five years will be decisive for our country and we propose a systematic policy to renovate all government and party officials,” the first secretary of the party said. Castro proposed all top political leaders be eligible for one-time re-election to a second five-year term, then leave office to make way for younger generations. He also proposed an age limit to enter the party’s Central Committee and its top decision-making bodies. The renovation of the leadership, said the president, will take place over the next five years leading up to the party’ s next congress in 2021, though Castro himself will be stepping down earlier. “It is no secret that my second term as president of the councils of State and Ministers will come to an end in 2018, and I will hand over my responsibilities to whoever is elected,” Castro said. Regarding the recent rapprochement between Cuba and the U.S. following half a century of enmity, Castro said all Cubans should know Washington’s intention toward the government in Havana remain the same — regime change — but the White House is today taking a different tack. Nonetheless, both countries continue to work to normalize ties and the Cuban government is committed to fully developing “beneficial cooperation” for both sides, said Castro. “We must work on what unites us and build new bridges of cooperation for mutual interests,” he said. A thing which can not be dreamed of 5 years back has happened. US President Barack Obama has been invited to and visited Cuba yesterday. Since the 1959 Cuban revolution under the leadership of Fidel Castro which threw away the US supported dictator, US has taken all steps to isolate and destroy Cuban government. After 88 years, the embargo has been removed, diplomatic relations have restored and now US President has visited Cuba. We welcome this development. The positive role taken by Cuban President Raul Castro, US President Barack Obama and the persuation by Pope have resulted in to this loosening of the tension.